What did you enjoy most about your academic program? The opportunity to showcase and hone my skills. The courses and flexibility allowed me to build upon specific skill-sets which helped pave a clearer (and easier) path post-graduation looking for career opportunities. I also liked the intimacy of the program- both with professors and other students inside and outside the classroom. How do you feel that your academic program prepared you for your current work? 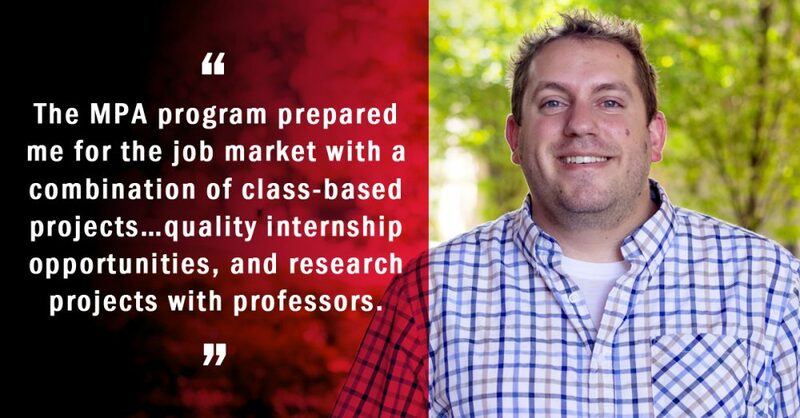 The combination of class-based, projects, the quality of the internship opportunities, and having helped professors with their research all provided a solid base going forward post-graduation. What advice would you give prospective students considering the program? The program is not a “1 sized fits all” – you have the opportunity to shape and mold it to help reach the outcome you desire. If you have a specific interest, seek out a professor (or two) whose research may focus on that area. From my experience they are very willing to take you “under their wings” and the knowledge and experience you get from that will build a solid foundation going forward to build upon. What is your current role? Please include work and relevant volunteer or community work. I am just beginning my role as a Strategy Analyst for the Philadelphia School District’s Charter School Office. I will be managing and analyzing student-level data to ensure compliance, mold future policy changes, and provide research to help further ensure a quality education for all students in the charter school system. This page was printed from http://dppa.camden.rutgers.edu/2018/09/17/chad-socha-mpa-18/ at 6:50 PM Tuesday, April 23, 2019.